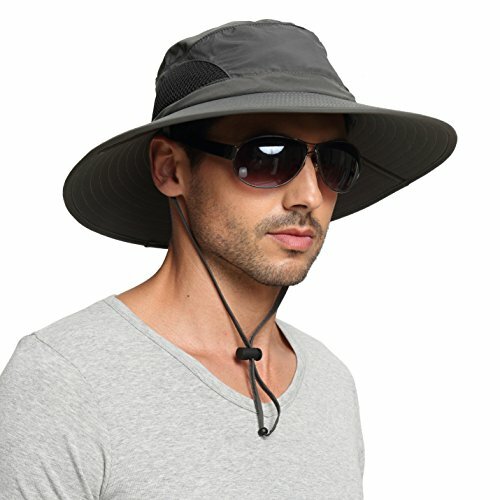 10 Best Fishing Hats in 2019 – Protect Yourself From Sun! It is unlikely that you will pick any random hat from the store when going on a fishing expedition. The best fishing hats is that which can handle specific tasks such as protecting you from UV rays and other fishing elements. With very few reviews on the Internet on the best type of hat with functional and protective features that should offer protection and deserved comfort when catching fish. In that case, we will use this guide to outline several features defining the best fishing hats. To come to the rescue of a self-respecting angler the following table should guide them in choosing the best sun protection and fishing huts. 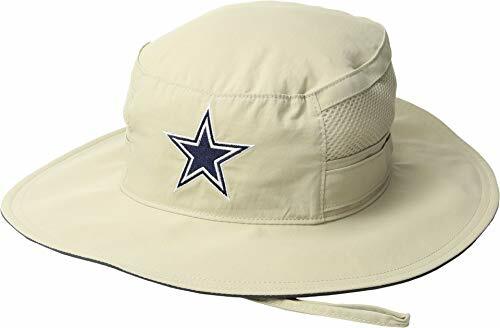 The best way to enjoy fishing without the need to worry about strong UV rays is to buy the Columbia Sportswear Booney Hat because of the UPF 50 protection. The primary material is 100% nylon poplin that also contains an Omni-wick sweatband and an adjustable chinstrap. You can use the draw chord and tie at the back. The wide brim of the hat fits adventure or outdoor activities, and therefore, hikers’ outdoor enthusiasts and runners can use it. The light material adds to its quick dry property that even when it falls on water, it will dry within a short time. The chinstrap is both flexible and adjustable. If you are fishing in the summer and all that is needed a hat that cools you off without compromising most of its features, then you to pick from a variety of Rothco hat designs. It is said to be both functional and fashionable as the brim has a nice size that will not block your vision from any side. Ladies can match whatever color with their angling gear. Plenty of camouflage colors will also make men look good on their fishing spot. The hats have a military grade style made from a poly-cotton fabric that offers the best comfort. On the sides of the hat, four vents keep the head cool at all times and using the adjustable chinstrap ensures that you do not lose your hat to strong winds. Fishing knowing very well that you have a 360-degree angle of protection from the sunrays gives you more confidence. It is made of 100% breathable nylon that matches all outdoor activities. The ICOLOR 360 is a free size and therefore fits all heads, and it is adjustable via a buckle. The hat protects your skin because it has a UPF 50 sun protection keeping your skin free from harm. The neck flap is removable and helps in masking the area from dust. The ICOLOR 360 is both winds, waterproof, and has a quick drying feature. You can wear the cap in different ways depending on the need or activity. 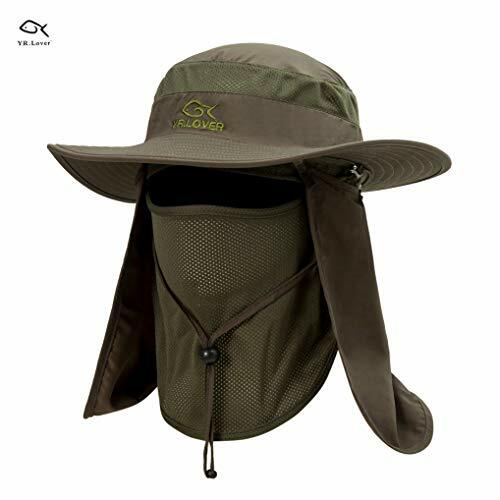 Instead of being frustrated smacking mosquitoes and flies across your face, the Como Coll Outdoor Anti-mosquito Mask Hat should be your fishing partner. 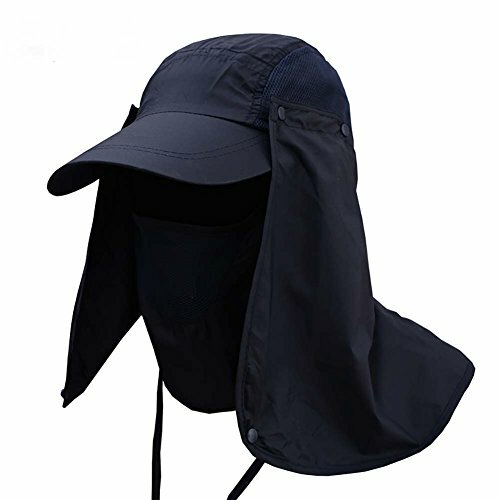 The main material used in this hat design is 100% polyester and is perfect for anglers, hunters, campers or anyone working in an insect-infested zone. It has a UV protection rated at 50, which is suitable for sun protection and keeping, mosquitoes at bay. The material allows air to circulate making it also ideal in summer climate. A chinstrap with chord lock keeps the hat in position. If you are looking for a versatile one size fits all fishing or hunting hat for men or women, then this is the one for you. The EINSKEY hat has a rear adjustable elastic drawing that fits all head sizes. The hat is water repellent and offers one of the best protection from UV rays. It is made from a comfortable and breathable Khaki material. The adjustable chords help hold the hat in place even in windy conditions. 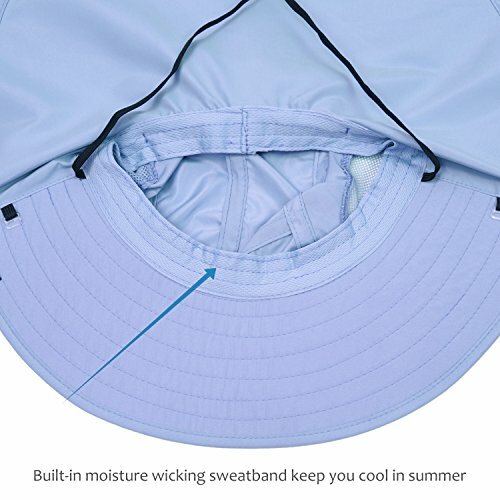 In the summer, the internal moisture-wicking sweatband helps keep your head cool. The hat is light in weight and portable that is why you can use it in any other outdoor activity other than fishing. 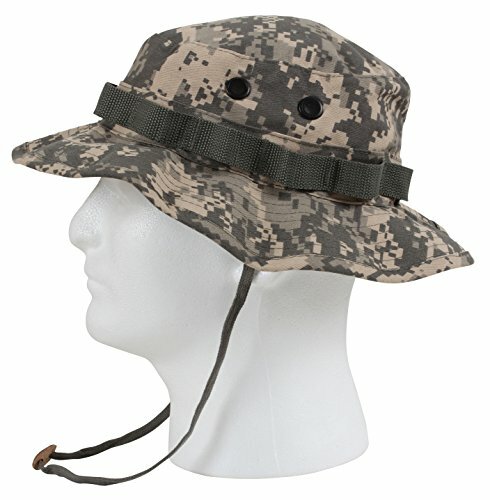 The LETHMIK Boonie Fishing hat has a wide snap brim that protects the whole head area including the neck. The hat is foldable, and you can wear it depending on activity or the weather. It has an excellent UV protection rated at 50. The fishing hat is made from 100% polyester that gives your head comfort in addition to keeping you dry and comfortable by wicking away sweat from the face. It can fit in your tackle storage and very convenient when moving around. The hat uses the vents at the bottom to allow air circulation. The brim offers excellent UV protection. Are you looking for protection that a fishing hat can offer? The DDYOUTDOOR has to be that angler’s hat. 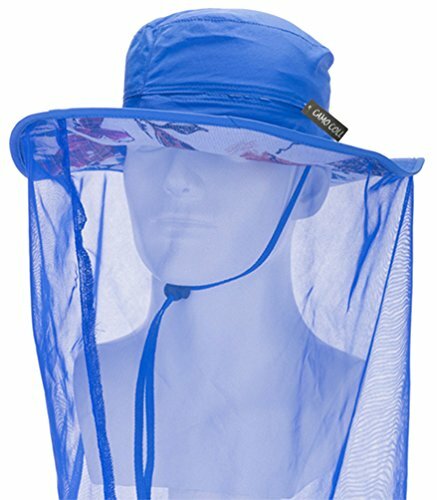 It has a UV protection rated at UPF 50 that also filters the UVB rays making it one unique hat in sun protection. Its Nylon Construction defines its lightweight and quick drying features. The construction has mesh-like panels on both sides and eyelets that allow cool air in. The mask and the flaps detached when no protection is needed. Though this hat is a one size fits all design, elastic drawings straps are making it possible to make adjustments. The adjustable chinstraps hold the hat in position when winds become strong. The mask tangles because of poor elasticity. The YINGEE 360 outdoor offers a perfectly cool and collected style that is likely to put a stop on the talk about fishing on a sunny day. The hat is a baseball hat with a sun skirt attached to offer the needed protection. The polyester and cotton material makes it comfortable when fishing on a hot summer afternoon. The hat can fit within the 360-degree angle depending on the direction the sun is coming from. The two materials absorb sweat as the dark cap scatters light away from the eye line. The hat has a plastic strap at the back that protects the hat from running with the wind. The chinstraps secure the hat in windy conditions. If you are fond of fishing in a large group, the Solaris Outdoor Fishing and Adventure hat is reliable in blocking UV on both sides and offers breathable vents to keep your head cool. If you are looking for a convenient and portable fishing hat, you have, Solaris Outdoor Fishing Hat. The Polyester and Cotton material gives one of the best UV rays protection while at the same time being breathable, a quick dry and portable. The wide brim covers the head and neck. 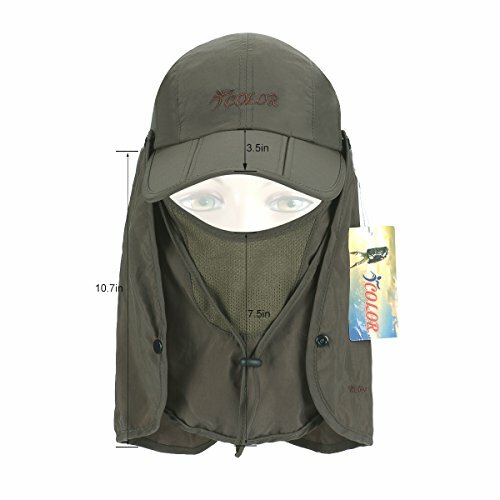 Use the adjustable drawstrings to hold the hat in one position even when it rains or when fishing in a windy situation. The best way to interact with the environment in a comfortable and protective gear. The surrounding shawl can be re-attached when necessary. The YR. 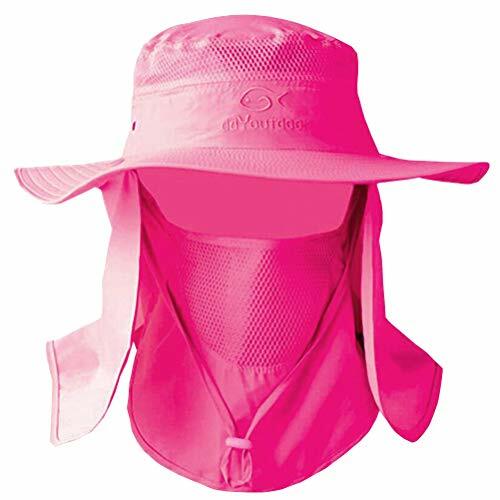 Outdoor UV Sun Protection offers a 360-degree angle sun protection with removable flaps giving a complete head and neck protection. The poly-cotton material is collapsible, washable, and quick to dry. Its ease of storage means it can fit even in your small backpack. The cap can be worn in any direction depending on your needs or direction of the sun. 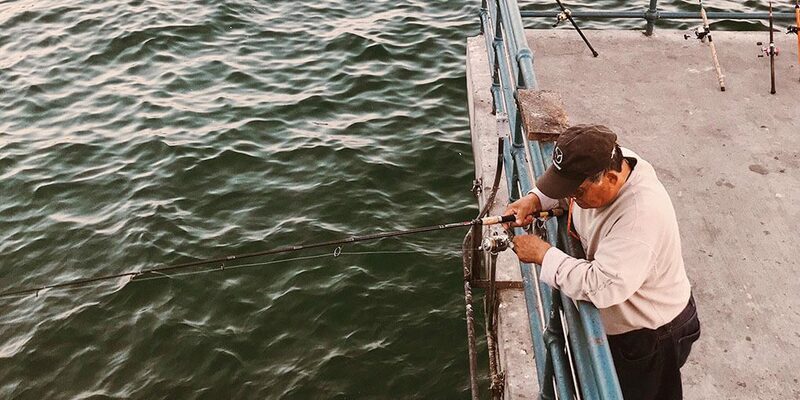 Every market has different models of some of the best things on offer when it comes to picking the right fishing hats there are several things to consider before making the final decision. If you value comfort, it is advisable that get the correct measurements for your head. Getting a fitting cap means, you are comfortable and nothing will inconvenience you while doing what you love the most – fishing. Angling hats are available in many sizes and styles. The possible differences should be on the coverage area and the kind of protection offered. Let us look at some of these differences. A bucket hat is the most popular and in most cases, you will hear the term “fisherman’s hat” associated with it. Most bucket hats have a shorter brim, and do not offer sufficient protection for the neck and ears. The bucket hat is suitable for shorter expeditions. 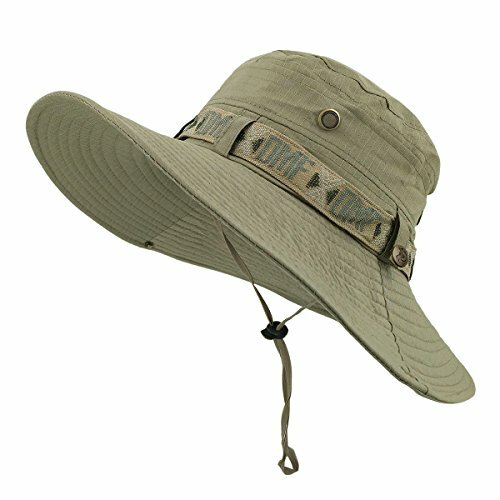 A Boonie is round in shape with a wide brim all around it. They have better coverage over a wide area hence best suited for long expeditions. Baseball fishing caps offer good protection for the top head but have minimal protection on the face, neck, chin, and neck. Baseball fishing caps are good for anglers using speedboats because of the secure hat attachment. Legionnaire style hats are similar to the baseball-fishing cap only that they tend to have long ear and neck flaps and veil protecting the eyes. They are suitable where the sun hits from all directions. Ventilation comes in as significant if you are on a long fishing expedition. Sweating cannot be controlled in hot weather. Therefore, you are advised to choose a hat that will keep your head cool and comfortable. A good hat construction has mesh panels and holes that allow cool air to circulate. The hat material should also be able to leave you dry regardless of the kind of weather. An adjustable hat is good for fishing at any time of the day. You can adjust the hat as the weather changes. Adjustable hats usually have wide brims to protect you from all-weather elements such as the sun, the rain, insects, and mosquitoes. Wearing a hat in the open could let the wind jeopardize your expedition when a gusting wind blows it away. You may get a snugly fitting hat, but without the chin straps, your hat may still fly off. Fishing is an outdoor activity that demands a hat that can withstand a heavy downpour. Therefore, a waterproof or water resistant and quick drying fishing hat is necessary. A fishing hat may seem like a fashion statement. It is crucial that you get one that will also offer protection against harmful Ultra-Violet (UV) rays. Look for the UV protection rating of at least 50 and above. In as much a fishing hat is casually seen as a tool of the trade, you can choose that still gives a stylish appeal while fishing. Anglers spend most of their day outdoor and therefore need hats that can withstand extended long hours and still maintain the same original color. When it is time to go fishing, you have the opportunity to decide what will work for you. The hats we have on our list have almost all the feature you would wish for in any that qualifies as your choice of the best fishing hats. It is not possible to say which hat is not adequate, so to avoid improvising ways of making yourself cool and comfortable, and go for that angling hat that has all the features that you need. I hope the guide has been adequate to offer required guidance in finding the best fishing hat that suits your present and future needs.